For those who have turned 65 and become eligible for Medicare, there are lots of decisions to make about how to use the program in the best way to meet your healthcare needs. First, you will need to determine whether you will opt to use Medicare Part A & B or choose Medicare Part C instead. Those who choose Medicare Part C, have lots of coverage options offered at many different price points by various private insurance companies. There are many things to consider as you select the Part C plan that’s right for you, including coverage options, premiums, included services, co-pays, service areas, insurance companies reputations and responsiveness, and choosing the right insurance agent. 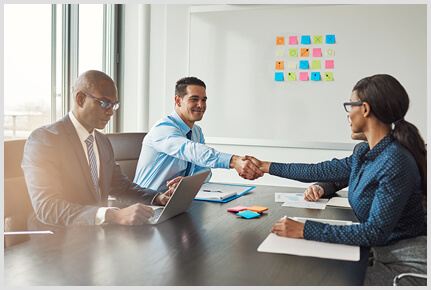 One of the most important considerations to think about is whether you want to work with an independent insurance agent or a captive insurance agent. In this article we will go into great detail about the differences and advantages of each so that you can make an informed decision that will serve you best. With plans changing every year, the more you learn about the choices available, the better chance you have of getting the most coverage for the best price. 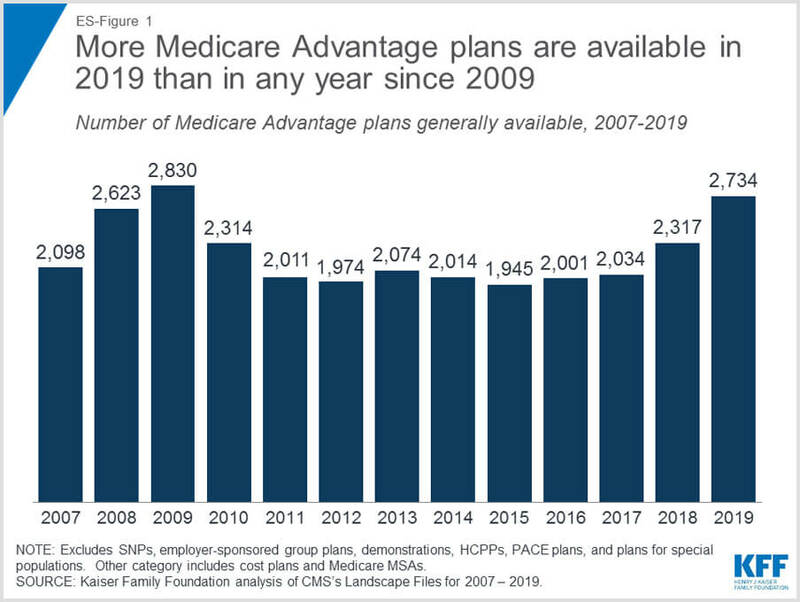 Next year there will be more Medicare Part C plans, also known as Medicare Advantage plans, available than there have been since 2009, with 2,734 plans out being made available to Medicare beneficiaries. So, obviously, you have lots of options to choose from. Each plan will vary in its premiums, its coverage options, its supplementary services like pharmacy and dental options, and its service area limitations. All of these variables require consideration. Adding to the decision are the countless number of insurance carrier options around you. As you weigh all of this with what is best for you, given personal your budget and your individual healthcare needs, it can be very helpful to consult with a licensed Medicare insurance agent. These agents have specialized expertise and knowledge and can guide you to a plan that will exactly meet your needs and your budget. Licensed Medicare agents have experience and familiarity with all the options out there. Seeking their help will allow you to quickly sift through the most viable options and save you enormous amounts of time and energy as you make your decision and select a Medicare Advantage plan. When it comes to finding a licensed Medicare insurance agent there are two broad types of agents: Independent and Captive. Though both are qualified to set up a Medicare Advantage plan for you, they differ in some significant ways. In the insurance business, there are captive agents and independent agents. A captive agent works for a single insurance company and knows and sells only the insurance products of that particular company. Captive agents can only provide a quote on the policy their company offers. They will offer you no freedom to look for alternatives for comparison between different quotes and policy terms. Captive agents are loyal to their company and they sell their products regardless if it the right fit for their client or if they can find their clients a better deal somewhere else. Independent insurance agents shop many different insurance companies to find the right policy for their client. They have lots of options in terms of carriers and plans to choose from. They can speak with you about the specific coverage options you need in your policy, as each insurance company has different policy terms, rates, coverages and liabilities. They have access to plans that fit budgets of all sizes. They can request lots of quotes from lots of different companies and then help you evaluate the best one. Best of all, their business is built on the ability to find you exactly what you need and they put your needs first. Brokers (or independent agents) work with multiple insurers—they communicate, negotiate, bargain, and create the best policy at the best price for you. Brokers make their living and build their credibility by making their clients happy, not by pushing one single company’s insurance products. For Medicare beneficiaries who want to find the plan that is right for them at the right price, choosing an independent licensed Medicare agent is the obvious choice. Your healthcare choices have an impact on your budget and your retirement savings. When you choose a Medicare Advantage plan your premiums and out-of-pocket costs are generally lower. When you choose an independent agent to find the right Medicare Advantage plan, these benefits are even greater. With a myriad of carriers and plans to choose from and negotiate with, you can create exactly what you need at a price that works for your budget. A licensed independent agent can guide you through the ins and outs of each policy, negotiate the terms and the premiums, and help you through the enrollment process. There are many benefits to choosing an independent licensed Medicare agent to help you find the right Medicare Advantage plan for you. The Medicare program, like many government programs, is subject to change by lawmakers and has a number of important rules and regulations that you have to follow In order to be eligible. Licensed independent agents in the Medicare arena are trained professionals with years of experience and knowledge about the rules regarding enrollment and program operation. They stay abreast of changes in the laws. They know the program inside and out so that you don’t have to. Use their understanding of the Medicare program to your advantage. Not only will they have a detailed understanding of the parameters of your policy, but they can also serve you with the vital information you need to get enrolled and receiving your benefits. 2.They serve you with a variety of available options. Independent agents or brokers literally have dozens of insurance providers to request quotes and policies from. They have a vast selection of options that can meet your specific needs regardless of your health or budget. While contracting with an independent agent, you get the benefit of comparing as many plans as you want before you narrow down your preferences. 3.They help you with a cost-efficient plan. Medicare Advantage plan premiums are based on a number of contributing factors including, age, gender, health concerns, and where you live. A good independent agent stays updated with the news and changing deductibles in various plans and can determine the most cost-effective plan given your particular circumstances. Remember, independent agents work directly for you, not the insurance companies. 4.They won’t charge you anything. The rate offered by your insurer for the policy already accounts the commission for your agent or broker. It doesn’t cost you anything to get the help you need from a well-informed, experienced and licensed independent agent, even if you don’t decide to purchase the policy. Time is a valuable asset in any person’s life. Whether you are retired or not, your agent is saving you time from the hassle and footwork of visiting and researching many different insurance companies and their plans. This is the work they do every day and it’s one of the greatest advantages of working with an independent agent. Your independent insurance agent or broker works with various insurance providers and can get several quotes, without bias or preference for any of them. They double-check to recommend a plan that fits all your needs while you can count on unbiased and comprehensive information from them. They want what’s best for you and they do not have any loyalty to any particular insurance company. 7.They are the one-stop shopping solution. Insurance agents or brokers have continuous access to various software programs that can provide you answers to frequently asked questions, convenient plan information, and assistance in designing the policy that fits your needs. Indeed, they are your one-stop solution for providing hassle-free, round-the-clock assistance related to any insurance or Medicare question. 8.They also offer services after the policy is in place. The work of your independent insurance agent doesn’t just end after you purchase a policy. Your independent agent is always there to answer questions and can help you address your policy concerns, changes, and renewals in the coming years. They can help you to annually review your coverage and continue to select a correct plan based on your changing needs. Whether you are a new beneficiary enrolling in a Medicare Advantage plan or looking for a way to change your current plan, here are some of the questions that will help you identify the right policy for you. 1.How much will I pay in premiums, deductibles, and co-pays? Medicare Advantage plans usually have lower out-of-pocket costs than Medicare Parts A &B, but there are still costs associated with the policies. These costs are completely dependent on the plan you choose. For example, some plans charge monthly premiums, and many plans have an annual deductible. Other costs may include copayments for each doctor or hospital visit, and premiums for optional benefits, such as vision, hearing, and/or dental coverage, though many times these are included without additional costs. Talk to your independent Medicare agent to find out all the costs of each policy you are considering. 2.Will my regular doctor accept the insurance coverage provided by my policy? Medicare Advantage plans are able to offer their policies at lower out-of-pocket costs because the plans have limitations in service areas. This means that not all hospitals or doctors are covered and you are restricted to get your medical care from specific providers or areas. You will need to check with your agent and your doctor to see what specific insurance policies they accept. 3.Will I have to choose healthcare providers from a specific network? When you choose a Medicare Advantage plan instead of Medicare Parts A & B (Original Medicare) you will be limited to a specific service area that has a specific list of providers and hospitals that you can use. Your insurance agent can give you more information about your options in choosing your network. 4.Will there be any referrals to visit specialists? Every policy will have different requirements for visits to see specialists. Ask your agent what the various insurance policies you are considering require and weigh that in as you make your decision. 5.Does the plan include the pharmacies I currently use? It is important to know whether the insurance policy you choose will cover the current pharmacies you use or if your policy will require you to change pharmacies. 6.Does the insurance company have good ratings? You want an insurance company that is responsive and has a record of good service. You can always look for customer reviews and ratings and ask your insurance agent about their experiences with the companies you are considering. Take their recommendations into consideration as you make your decision. At this point, your independent agent will go to work answering your questions and helping you find the ideal policy for you. Your agent or broker will look at the insurance policy both in terms of coverage and costs. Ideally, your agent will go through all the plans available in your service area, evaluating the pros and cons of each one. Typically, a Medicare beneficiary will have an average of 24 different Medicare Advantage plans to choose from. Once you evaluate all your Medicare Advantage plans and select the one that is right for you, then your licensed agent will play a major role in helping you enroll in the Medicare plan you have chosen. After understanding the central role your Medicare agent plays, it is clear that you should pick a capable agent that you trust. You want to find the best broker you can because a qualified, conscientious independent agent will work hard to reduce your premiums while getting you the most coverage available. If you have a broker you can rely on, your chances of finding the best possible Medicare policy increases. First, ensure that your broker is licensed and registered in your state to sell insurance. You can also check their review, ratings, and credibility online or call your state insurance commissioner’s office. It can also be helpful to get references from other clients and read their reviews. Be sure to find a broker that specializes in health insurance, particularly Medicare insurance. There are many different kinds of insurance out there, but Medicare insurance has its own set of rules and regulations. As we have explained, you have a lot of options when it comes to Medicare coverage and you need an independent agent that understands the industry inside and out and exactly how the Medicare program works. If your agent is an expert in Medicare coverage, it will give you so much help as you weigh your insurance policy decision. Find an independent agent that is very familiar with current Medicare laws and regulations and understands any recent changes to the program. The more experience and knowledge your agent has, the better they can assist you as you navigate the program and choose the right policy parameters for you. 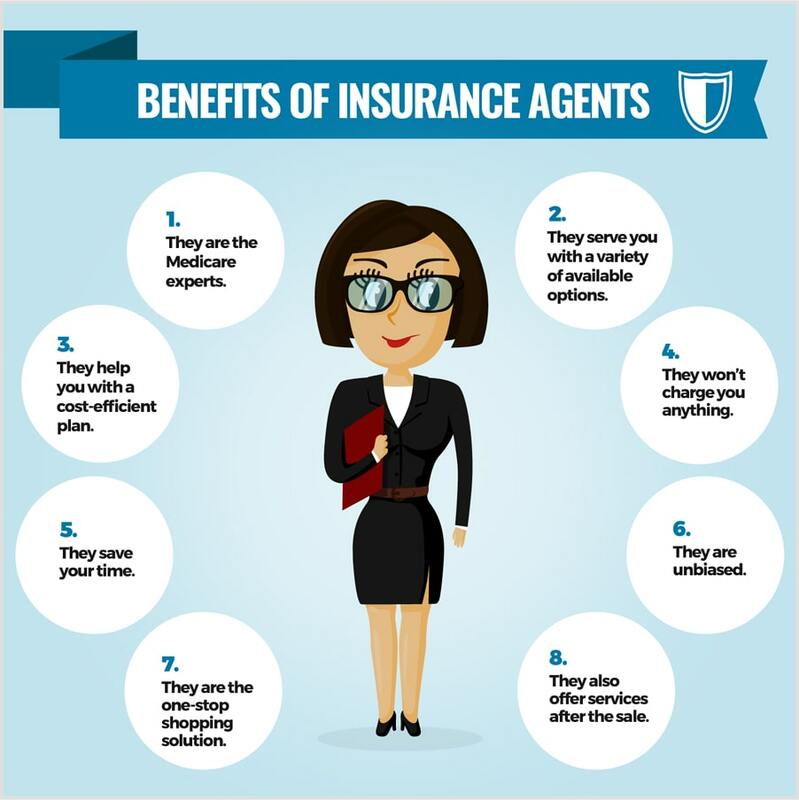 Additionally, the independent insurance agent you choose should be attentive and present you with lots of plan options to meet your unique needs. Make sure that the independent Medicare insurance agent is licensed in your state and ask them to share their license number details. Go through the state license website and find out how long has the agent been in the insurance business. You can also check whether the insurance agent works as a full-time or part-time employee. Find out how many insurance carriers your independent agent is affiliated with. Ask them for their business website or email. Research their website for helpful articles and relevant information to have a deeper understanding of the agent’s work. The independent Medicare insurance agent should be transparent and open about their commissions. The best independent Medicare insurance agent will offer lots of different policy options, information about the plans which add value, and give their opinion about which insurance carriers are superior. Last but not least consider your gut feeling. Make sure that you feel comfortable and that you can trust their work and their judgement. As you choose and enroll in a Medicare Advantage plan, recognize that there are lots of options available to you. You can find a policy which meets your coverage needs, accounts for your budget considerations, and works in your service area. The right independent Medicare agent can help you put all of this together in one plan. As independent insurance brokers, we at Insurance Professionals of Arizona are here to help you make sense of it all and develop a Medicare Advantage plan that really works for you. We have decades of experience with Medicare Advantage polices and we can use that knowledge to create the right policy for you. We are always happy to answer your questions, get quotes, explain policy differences, or find you the best deal available. We are here to make your Medicare Advantage plan work for you.